8: Double-digit strikeout games by Corey Kluber this season. The most by an Indians pitcher since Dennis Eckersley had eight in 1976. 49: Consecutive relief apperances with a strikeout for Reds closer Aroldis Chapman, an MLB record. The streak ended Friday. Chapman surpassed Bruce Sutter’s mark of 39 on July 11. The earliest that right-hander Justin Verlander will pitch is next weekend in Minnesota. It appears that if he can’t pitch there, the Tigers will have little choice but to put him on the disabled list for the first time in his career. The Tigers will need Verlander, or someone in his spot, for one of the games in next Saturday’s doubleheader in Minnesota. If Verlander can’t pitch in that twin bill, it seems unlikely the Tigers would send out a reliever to take Verlander’s turn. If they did that, they would leave themselves one reliever short for the doubleheader – a dubious strategy. The only real solution if Verlander can’t pitch in Minnesota is to put him on the disabled list. “We’re going to hold off announcing our pitching for Minnesota because a lot depends on Justin’s status,” Ausmus said. Disabled-list assignments can be backdated up to 10 days. So even if Verlander went on the 15-day disabled list, he could return for his next scheduled start after Minnesota. 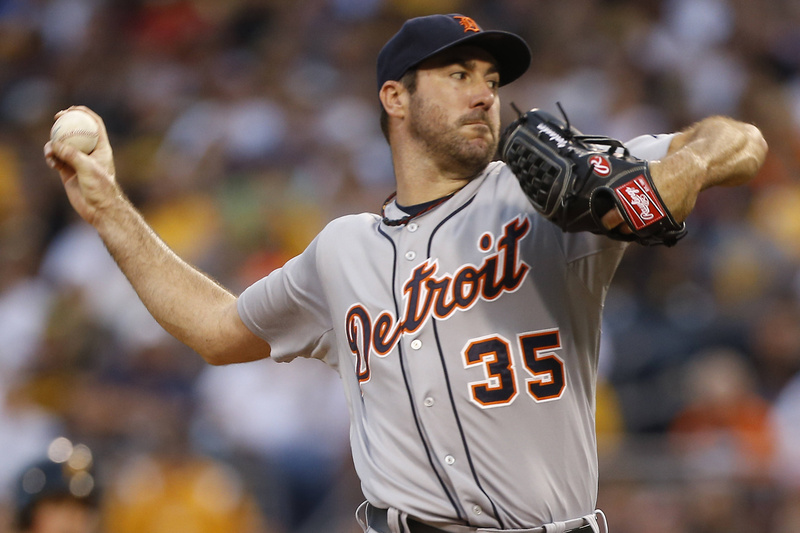 Verlander exited his start Monday night after one inning because of shoulder soreness. On Sunday, for the first time in his career, he will miss a start because of health reasons. The only previous start he missed came in August of his rookie season in 2006 when manager Jim Leyland rested him for one start. Dodgers pitcher Hyun-Jin Ryu has strained muscles in his right hip area and will be re-evaluated in a few days. The left-hander had an MRI, which showed strains in the muscles that help stabilize the hip and leg during his throwing motion. Ryu complained of right hip and buttock pain after leaving Wednesday’s 3-2 loss at Atlanta. He is 13-6 with a 3.28 ERA in 23 starts for the N.L. West leaders. The Indians have activated center fielder Michael Bourn from the 15-day disabled list. Bourn has been slowed by a nagging hamstring injury all season. He has been on the DL since July 6 because of the hamstring, which he had surgery on last October.